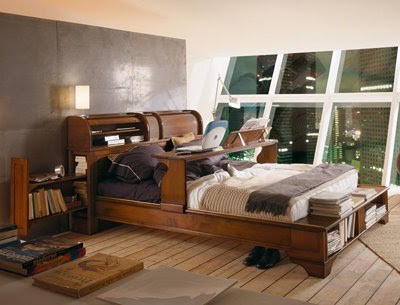 If you are a fan of productivity and efficient usage of space, this model of bed is certainly for you. Unfortunately, I only remember that it's Italian, I couldn't find any more details. Do you remember where you saw the bed? Magazine, internet? etc. Does anybody know who actually invented this piece?